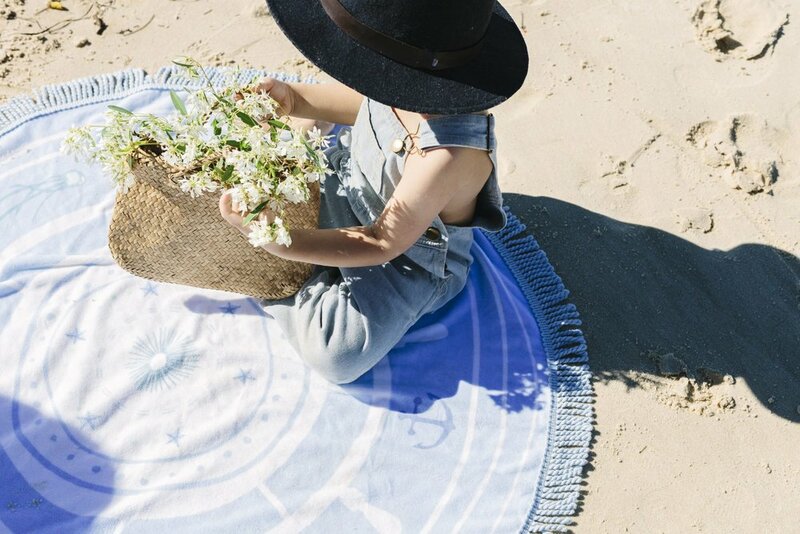 Not only are we excited to be sharing our Earth & Sea collection of Petite Roundie designs with you but also at the fact we got to use our own little models to be the superstars of the campaign shoot! My son Theodore, Lulu & Daisy (Emma’s girls), and our adorable god children Husky and Jorge worked the camera to capture the beautiful images for our Volume 3: Earth & Sea Collection of Petite Roundies featuring the Captain Petite, the Native Petite, and introducing the new Nautic Petite Poncho! We got to play dress ups with the kids with two amazing local brands that we love, Fallen Broken Street Kids and Yoli & Otis. The retro mini sailboat used in the shoot was restored by my very own father. We picked up the little 1950’s beauty when we were treasure hunting at the “Old and Gold” festival located nearby in Brunswick Heads. Where will you take your little ones on their next seaside adventure?